The original goal in the Goalsetter line-up, the Goalsetter MVP stands alone. The MVP’s standard regulation size Tempered GLASS 42″ x 72″ Competition backboard, 6″ square off-set pole and spacious 4′ regulation play area make the MVP your choice for serious driveway play. Distinctive design and astonishing performance leave no doubt – the MVP is for people of all ages with a real passion for the game of basketball. Check out the punishment a Goalsetter MVP can withstand on the famous streetball courts of Rucker Park in Harlem. Get ready. Your driveway is about to become the conversion point for the whole neighborhood. The MVP is the pinnacle design in the Goalsetter series. 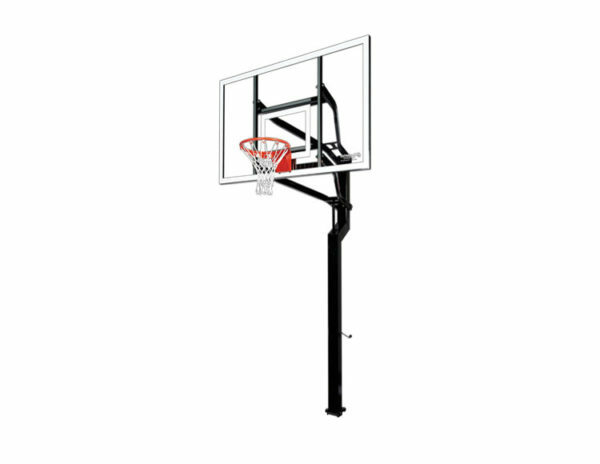 It features a distinctive design and regulation backboard and playing area. 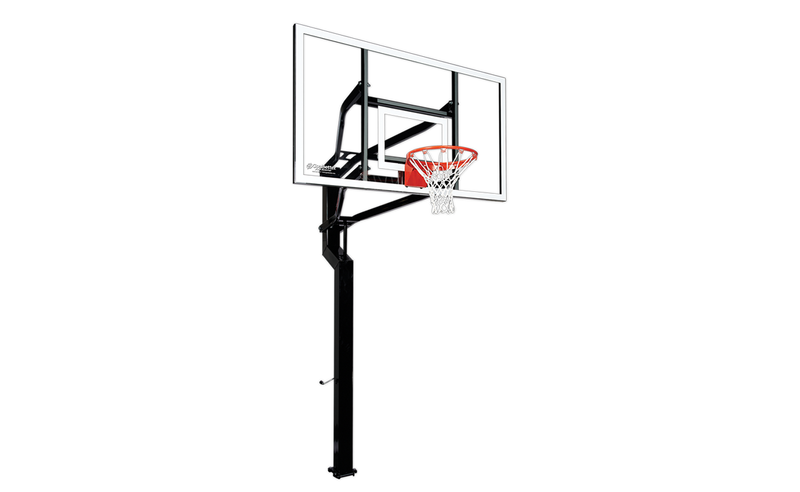 The backboard is customizable, allowing you to choose either an acrylic board or a tempered glass board. 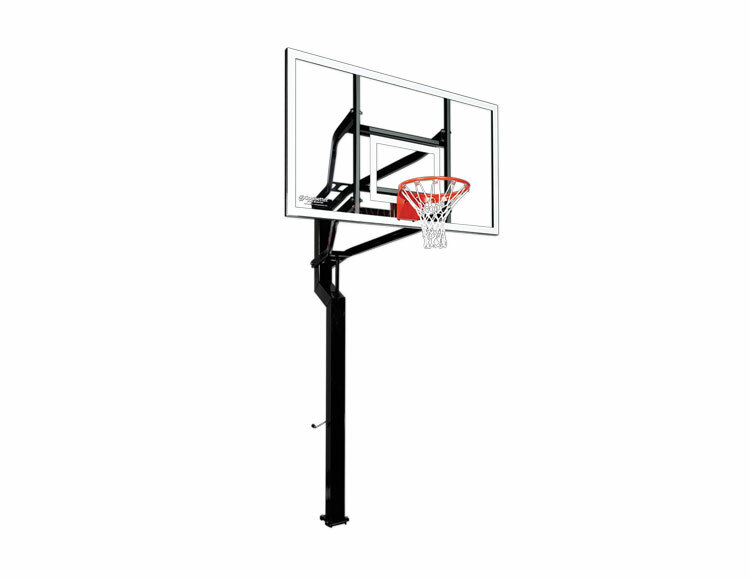 Complete with a corrosion-resistant finish to withstand the wear and tear of outdoor use and an adjustable height mechanism to accommodate players of all sizes and ages.